With apologies to Wallace and Gromit. 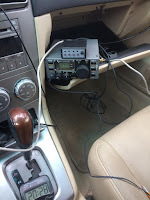 I was able to operate portable four times this year. Briefly, here are some photos and comments. I operated only on Saturday - April 7th. 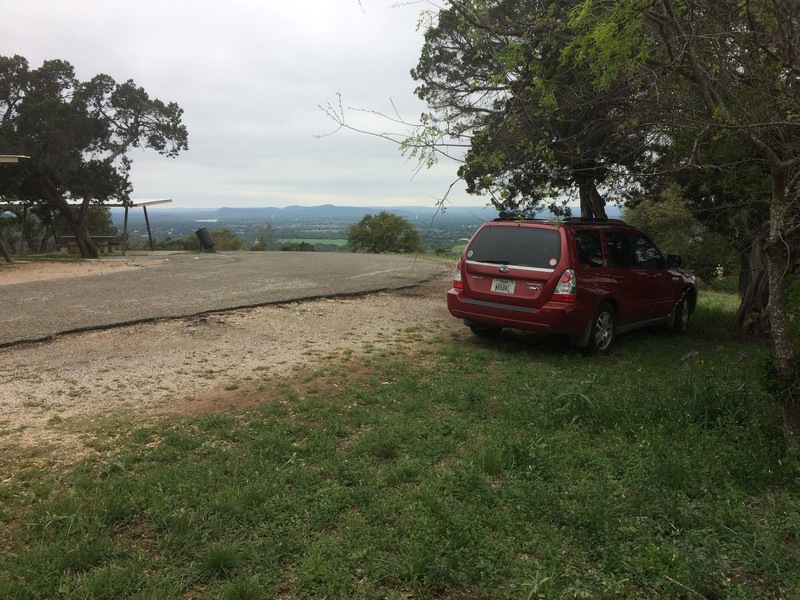 As it was cool (~39F), damp and threatening rain, I elected to operate while sitting in the car at Longhorn Cavern State Park (EM00tq). 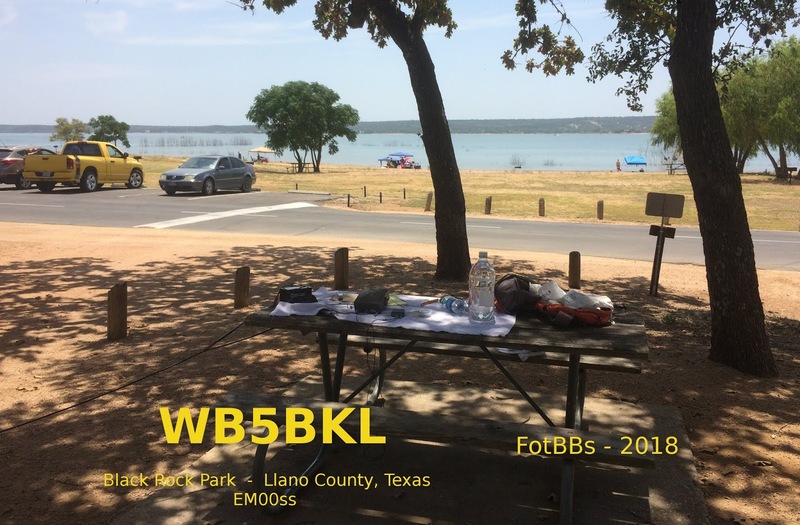 I only made 15 QSOs No other Texas state parks were heard. As of this writing, no scores have been posted. Used the K1 @ 5W with a 20M dipole. This is a pleasant and scenic location, and my closest state park. 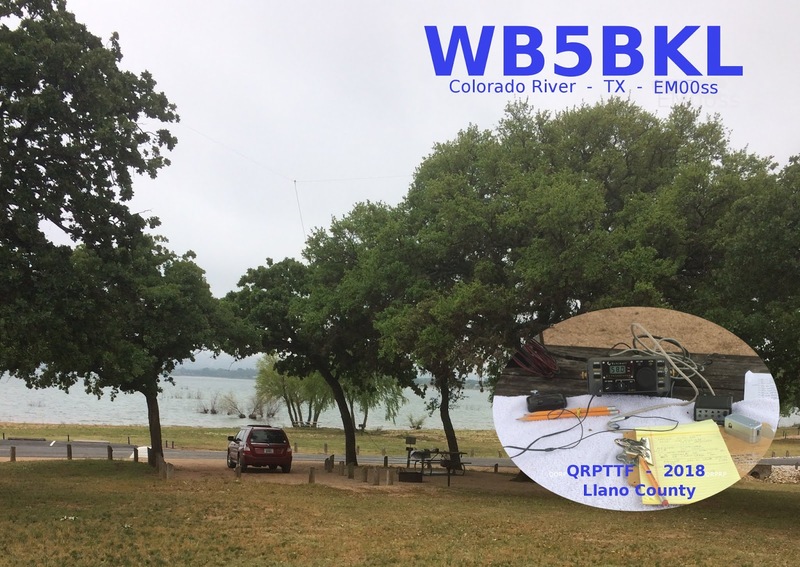 Two weeks after the TSPOTA event, I was out again - this time at Black Rock Park in Llano County (EM00ss). More on Black Rock Park later. Rig was again the K1 and this time I hung a 40M EFHW in addition to the 20M dipole. 25 QSOs was good enough to get me into the top five.. Got to meet a dog named Gussie. She was interested in my stash of Ritz crackers. This was on the 29th of July and again at Black Rock Park. I made 29 QSOs and had another good time. It was very warm and lots of folks were enjoying the park. Same rig as above. This was on the 29th of August and once more at Black Rock Park. Again 29 QSOs with the K1 @ 5W, the 20M dipole and the 40M EFHW. I had a very good experience at this park. The staff was both friendly and very helpful. I did a scouting run through the park early in 2018 and made note of the sites with 20 and 40M spaced trees. :-) No one seemed to have any problem with me hanging antennas - and on my last visit, I was greeted with, "Oh, you're that radio guy." Nice job Cranz, I guess the K 1 is doing you a good job. Good to hear from you.